Christie Clinic is a commercial building that was built in Champaign, IL, in 1929 and remodeled in 1936. The architect is unknown. Presently known as the Christie Clinic Building, this building was previously recognized as the Twin City and Loan Building and the Family Welfare Society of C-U in 1929. During this time, retail stores, offices, and businesses, like A & P Grocery, occupied the space, while the Christie Clinic was located in a completely different building. Until 1936, Drs. C. W. and J. M. Christie, the founders of the Christie Clinic, held offices for their health center on the fifth floor of the Lincoln Building. 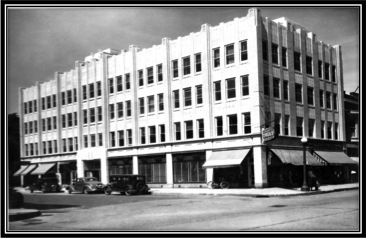 In 1936, the Christie Clinic made a big move by buying out the Twin City and Loan Building in order to expand and update their health center. Two floors were added as a renovation done by the English Brothers. This remodel created forty-two exam rooms, a Radiology Department, a Physiotherapy Department, and two lead-lined rooms. 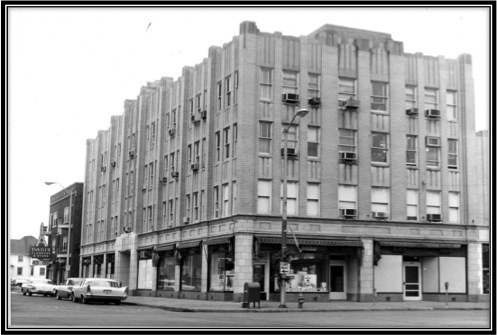 In 1954, another renovation occurred, connecting 119 S. Neil Street to the clinic. 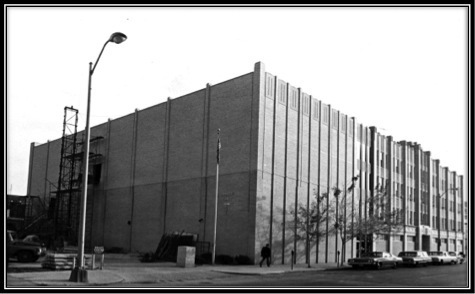 The first floor addition onto the Christie Clinic Building was then completed in 1966, along with the upper two floors that were finished in 1973. From 1985 to 1986, a new addition, designed by the American Medical Building Inc., Milwaukee, WI, was constructed with the English Brothers assigned as their contractor. This building, presently owned by Christie Building Inc., continues to grow and serve as the location for the Christie Clinic in Champaign, Illinois, and has been providing high quality health care to the people of the Champaign area since 1936. Although not exactly known because of the lack of a firm or architect, the original building design intentions of the Christie Clinic Building were for this space to be used as retail stores and offices. In fact, this is exactly what the building was occupied by until the Christie Clinic bought out the space and transformed it, through its renovations and services, into the major health center that it is today. The Christie Clinic Building is an Art Deco/Modern styled building with four floors. This makes sense because Art Deco designs were first utilized in the 1920s and 1930s for commercial buildings, and the Christie Clinic Building was constructed in 1929. Many details on the building, such as the lines that stretch horizontally and vertically and the geometric designs, represent characteristics of the Art Deco style. The building type of the Christie Clinic Building is considered commercial. It has contained retail stores, health facilities, offices, and a medical clinic. Presently, the building is only used for medical purposes, including a wide variety of services within primary care, specialties, and clinical research. 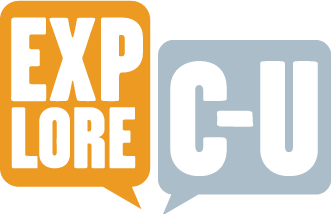 Chen, Xiaoqi and Amy Stubenfoll, “Christie Clinic Building,” ExploreCU, accessed April 19, 2019, https://explorecu.org/items/show/314. Wentworth, Bruce. "Art Deco Style Architecture Facts and History Ask the architect. N.p., n.d. Web. 11 Nov. 2013. <http://www.askthearchitect.org/architectural/art-deco-style-architecture> "CU WIKI." Chronology of Selected Events in Champaign County, accessed November 7, 2013, <http://cuwiki.net/chronology_of_selected_events_in_champaign_county> "PACA Historic Property Inventory for 104-114 West Clark Street, Champaign (Ill.); Christie Clinic.”: Historic Champaign County, accessed November 7, 2013. http://www.idaillinois.org/cdm/compoundobject/collection/ufl/id/7984 "Christie Clinic Announces Plan of Enlargement." Daily Illini, 18 Sept. 1936. Web. 10 Nov. 2013.